Not long ago, the loudest sound coming through Waverly, Alabama was a steady stream of 18-wheelers journeying down U.S. Highway 280. Today, the tiny town welcomes musicians from across the region multiple times a year — bringing a steadier serenade of music, and thousands of fans, with them. In many ways, the town has the state of Alabama and Scott Peek to thank for that. The Old 280 Boogie started in 2000 after the state decided to reroute U.S. Highway 280 away from Waverly — a town with fewer than 150 residents located a couple of miles northwest of Auburn. In doing so, the state inadvertently saved Waverly from destruction. It also gave residents a reason to throw one heck of a party. “After the highway opened up, a lot of folks said we should have a celebration that the highway bypassed us,” said Scott Peek, who moved to Waverly in 1991 and started Standard Deluxe, a design and silk screen shop located on the town’s main drag. 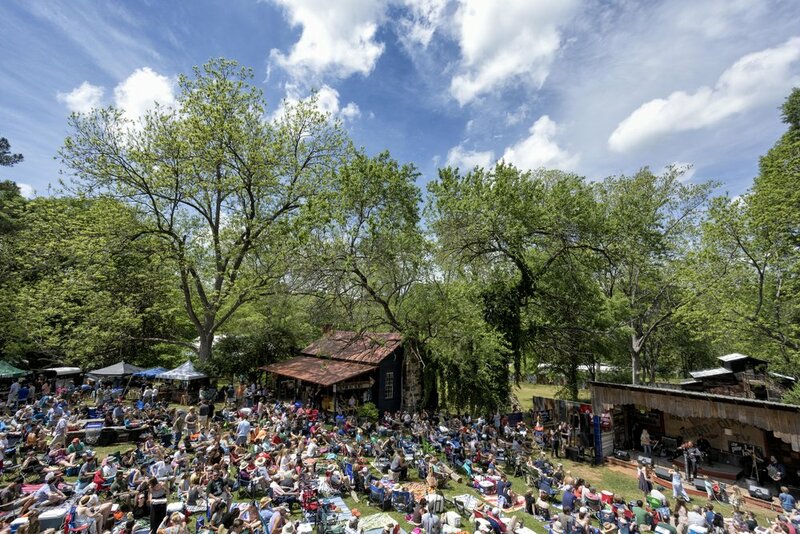 Since the first Old 280 Boogie in 2001, the festival has attracted a handful of Americana giants like Jason Isbell, Hurray for the Riff Raff and John Moreland. Most musicians who play the festival have never even heard of Waverly. Once they pay a visit to the three-mile-wide town, however, they usually leave with their next show booked. In true southern fashion, Peek pulls out all the stops for visiting artists by giving them a place to stay and, if they feel inclined, a music room where they can jam. “Lately we’ve been having guest chefs come in before the show, too,” Peek said, adding that the latest addition to the festival “compound” includes an outdoor kitchen. 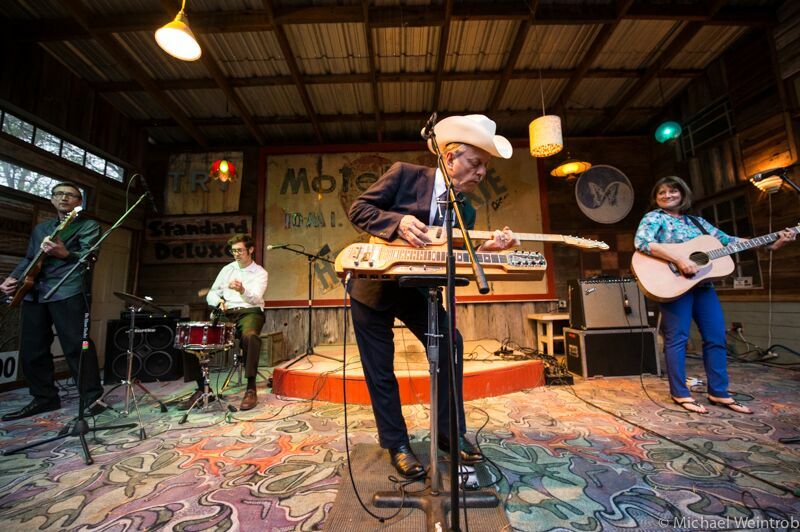 With new advertising strategies, the Old 280 Boogie has steadily grown to become a mainstay in Alabama’s festivals lineup. Because the first few years saw such big turnouts, the Boogie is now held twice a year — once in the spring and again in the fall. Reed Watson, label manager for Muscle Shoals based Single Lock Records, said aside from creating top-notch artwork at Standard Deluxe, Peek has also created an unconventional music venue where any artist can thrive. This year’s Fall Boogie is set for Sept. 23 and will feature Lee Bains III & the Glory Fires, Heath Green & the Makeshifters, Lonnie Holley Band and more.